The photo below is from a visit with Jen’s cousins. Little Roman was a whirlwind of energy. He really liked my Transformers books — throwing them, that is! He was also excited that the hotel had free apples for everyone. Needless to say, a child like that cannot be monitored at every second. 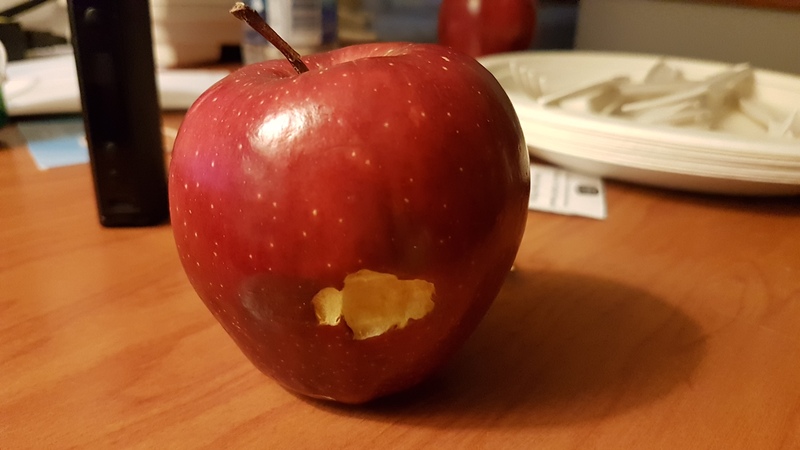 It was no surprise when I found an apple with one tiny child-sized bite out of it hidden in our hotel room! Kids. Monitor them perfectly? Hahahahaha no. Bites out of apples, yes. Throwing books? Uncle Aaron says hell no, books are your friends, padawan!